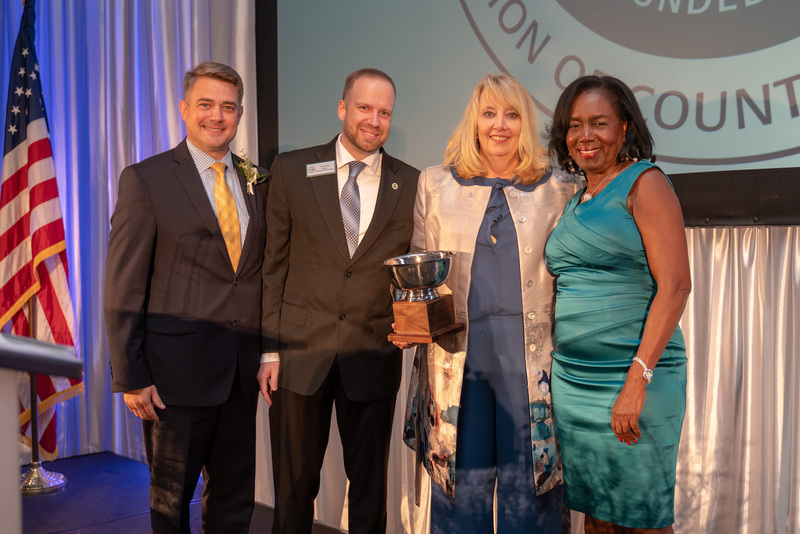 In August 2018, the North Carolina Association of County Commissioners honored School of Government staff member Patrice Roeslerwith the Hall of Fame award. Roesler serves as manager of elected official programming for the School’s Center for Public Leadership and Governance after an esteemed 42-year career at the Association. Roesler received the award during the Association’s annual conference. In her roles at the Association and at the School of Government, Roesler has helped coordinate and support the Local Elected Leaders Academy, which comprises courses and programming to train both municipal and county elected officials in all stages of their careers. Before coming to the School of Government, Roesler served as deputy director at the Association—where she was responsible for strategic planning processes and developing education and training programs. She spent the previous 28 years as a legislative representative for the Association, specializing in issues related to mental health, criminal justice, social services, public health, and community and economic development. The NCACC Hall of Fame Award is given to individuals for their longstanding commitment and exceptional service to counties. The NCACC provides expertise to counties in the areas of advocacy, research, risk management, and education and leadership training. For more information about the Association, visit ncaac.org.